Police, lawyers and victims advocates got special training Friday on how to better investigate sexual assault cases. “We know how to investigate these cases,” said Kim Lonsway, research director for End Violence Against Women. But the trouble with investigating sexual assault, according to Lonsway, is that victims may feel they won’t be believed. 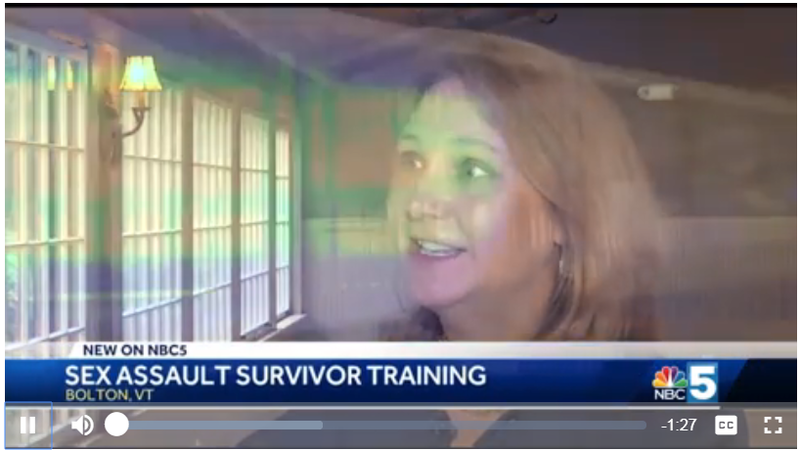 “When someone discloses sexual assault when someone comes to you and says they’ve been raped simply take a breath and start by believing,” she said. Lonsway shared that message to about 80 police officers, prosecutors and victims advocates at a workshop put on by the Vermont center for crime victim services. “We want to the way at the head of the curve nationally in Vermont, sensitive to the really horrible, traumatic events in people’s lives,” said Gene Nelson, with the Vermont Center for Crime Victim Services, the group that organized Lonsway’s visit. The training touched on some biases that investigators may have — stereotypes that Lonsway said are just not true. “Whether or not the person physically fought back, there are not the person reported to law enforcement or told a friend or family member first…things that the research tells us about sexual assault victims; most don’t physically fight back, most take a while to report and most to tell a loved one first,” said Lonsway. These tips are what detective Jennifer Harlow Jacobs said she’ll take back to officers at her department. “I can teach them that even though they may believe that someone is not been truthful that it’s important to believe them because when we go do a report of theft or burglary, don’t go to that call thinking, ‘Oh my God, (it) never even happened. You go to that call thinking that it happened and so you’re going to invest to get it completely,” she said. Vermont State Police have received 50 complaints of sexual assault in the last five years, and they’ve investigated nearly 2,300 cases of sexual offenses in the same time span. Click here to view the video on NBC5!